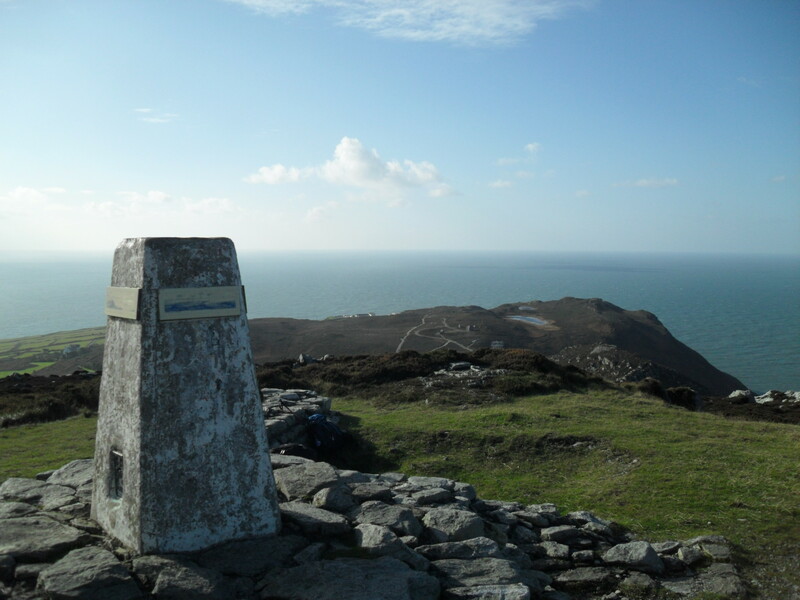 Ok now this flashback walk is a little different from the others I’ve done, for one Holyhead Mountain isn’t actually a mountain, true it is the highest point in Anglesey, but it only stands at about 720ft (by now I’m sure you’ve guessed, I only work in feet on this blog, take that metric system). 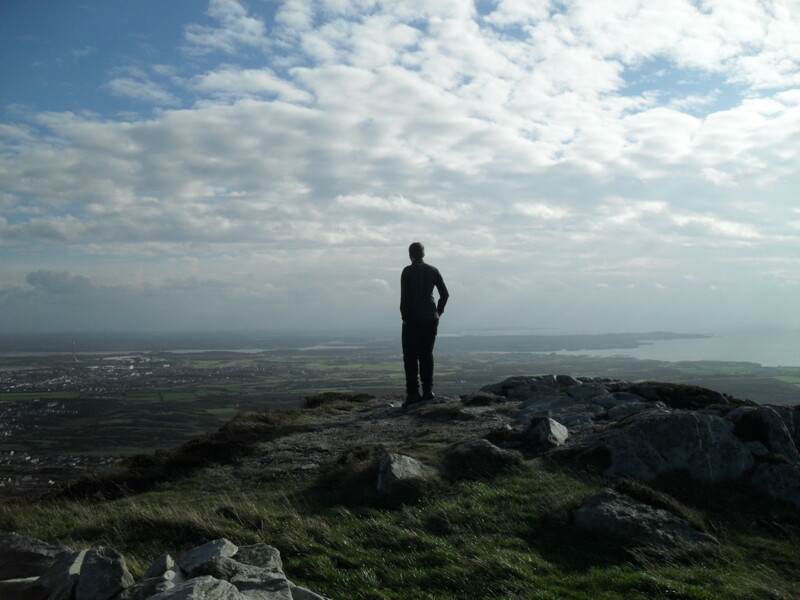 This really makes Holyhead Mountain a large hill at most. 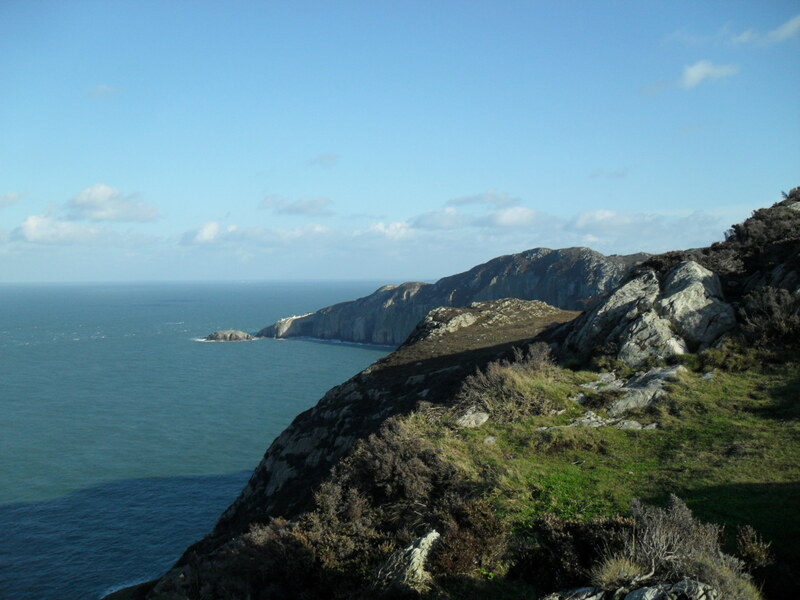 Secondly this blog post is different because Holyhead is outside of Snowdonia National Park, but as I’m based in Bangor it is all to tempting to quickly cross over and explore the island. Anglesey is certainly nothing to stiff at, with some great forests, beaches and cliff walks it’s certainly worth more than one trip. Me and my friend Karla traveled from Bangor up the A55 directly to Holyhead before taking the South Stack Road to the famous lighthouse. The car park at South Stacks is perhaps the only free car park I ever came across during my first year in Wales, so of course I spent many minutes frantically searching for the ticket machine which I knew had to be hidden somewhere. 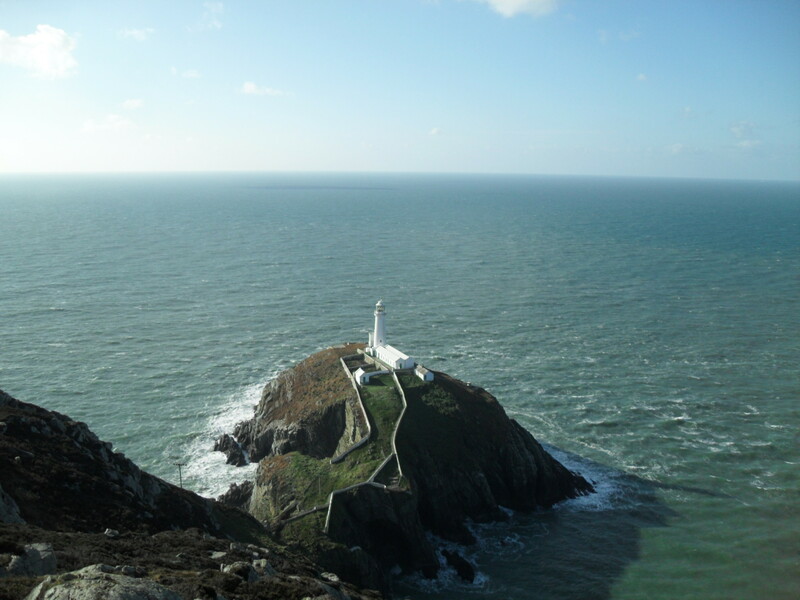 When my fear finally abated we started our walk along the cliff edge to South Stack lighthouse, our first point of call. sadly the wind was wild and the waves were too turbulent today so the lighthouse was closed to visitors, fortunately it still made a great couple of pictures. 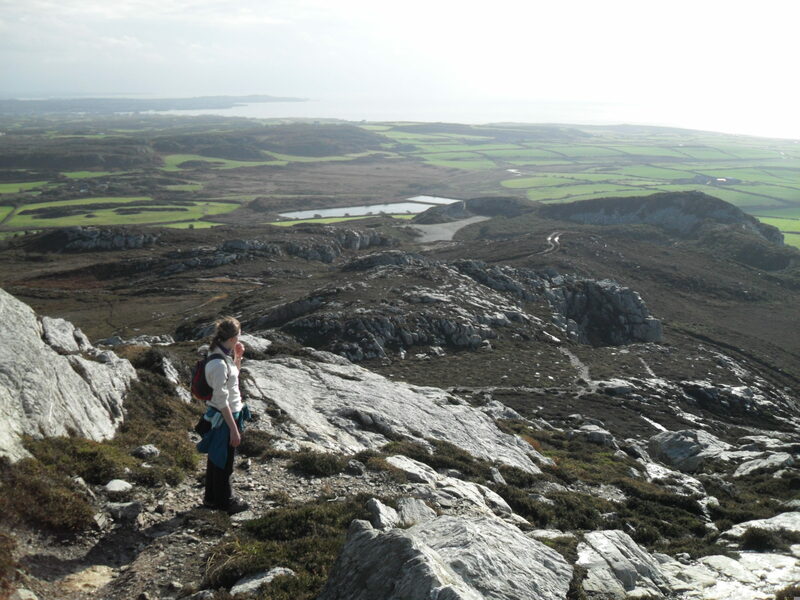 From North stack we doubled back towards Holyhead Mountain which loomed up behind us. The walk to the top is a breathless slog up a series of stairs carved out of the rocks, fortunately it’s also a short walk and we had reached the summit before we knew it. From personal experience I know Holyhead Mountain is the first sight of the British mainland you can see on a ferry arriving from Ireland and as we stood on the top we could see several of these boat behemoths in various stages of their crossing. After lunch we began to head down, to my everlasting shame we completely missed the remains of the ancient Roman watchtower situated on the east side of the hill, however we did mange to get lost of the way down (you know after about 4 posts on this blog I’m starting to notice I may not me the most reliable person to have on a mountain). Our path had become lost among the broken rocks that make up Holyhead Mountain and we were forced to improvise our way down. At one point little miss gymnastic Karla decided to jump down a 8ft drop, too chicken to follow, I promptly turned around and smacked my leg against a bit of solid rock that was jutting out. Eventually I hobbled down to Karla’s level and we found a path that led back to the car. Diagnosis, a badly bruised knee and some badly bruised pride, solution, a nice big slice of chocolate cake back at the South Stack cafe; safe to say I was on the mend after that. Thus concludes my tale , if you have stories you wish to share or have any advice about the blog in general feel free to leave a note in the comments and thanks for reading. This walk has been shared with Jo’s Monday Walks, a page for walkers of every caliber to share their adventures, so if you want to check out some other walking bloggers click on the link.